Our next guild meeting will be Saturday, February 9, 2019 from 1:30-4:30 p.m. in the New Day Church of the Nazarene. Address is 5949 NW 39th Expressway. North side of the street just West of MacArthur on 39th. This month we will be learning about color mixing and working on mixing color samples. 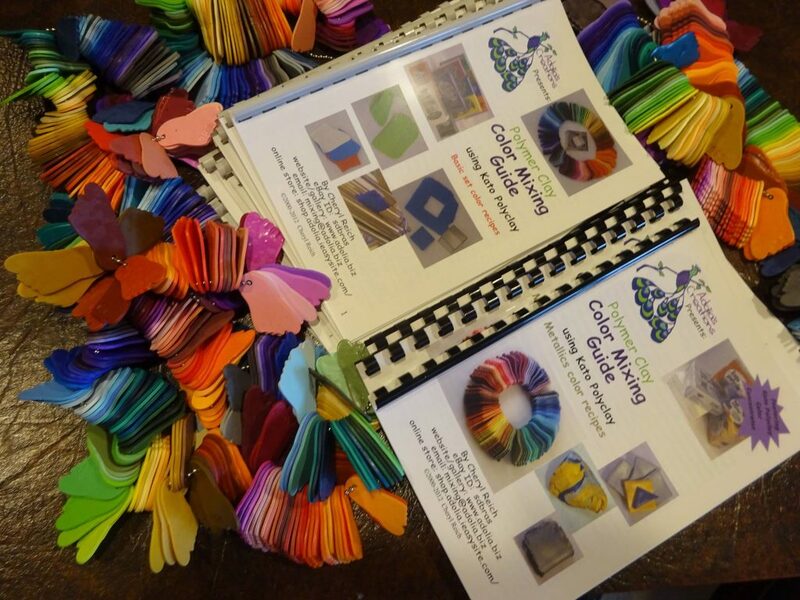 Everyone will receive a copy of Cheryl Reich’s Color Mixing with Kato Polyclay. Everyone will get a total of 204 recipes and as many samples of those colors as we can get completed. This retailed for $65. This book is no longer going to be published so this is the last chance to get a copy. All you will need to bring is a work surface, pasta machine and a blade to cut clay, everything else will be provided. If you want to bring a rubber mallet or any Kato Polyclay you have (including the concentrates) it would be helpful but isn’t necessary.